I give this one 3 stars because the colour is not pigmented enough to show on my lips. However, it might work on someone else with lighter skin tone and this line of lipstick is very good in keeping your lips moisturized. I give this one 5 stars!! Perfect red for my skin tone, long lasting and hydrating!! This is absolutely one of my favorite red lipsticks. I give this one 4 stars. Although it does give me the tangerine look that I was looking for, I don’t really like the fact that it has a bit of shimmer in it and I am a huge fan of matte. 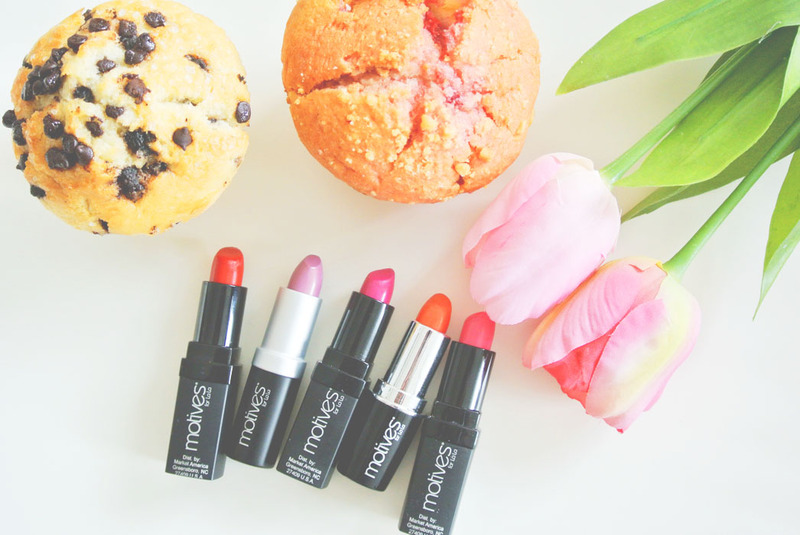 Overall, if you don’t mind the shimmer, this could be your great TANGERINE lipstick for this season! Yes! I give this one 5 stars as well because this is absolutely my favorite pink lipstick of ALL TIME. Every girl needs a bright pink lipstick like this. 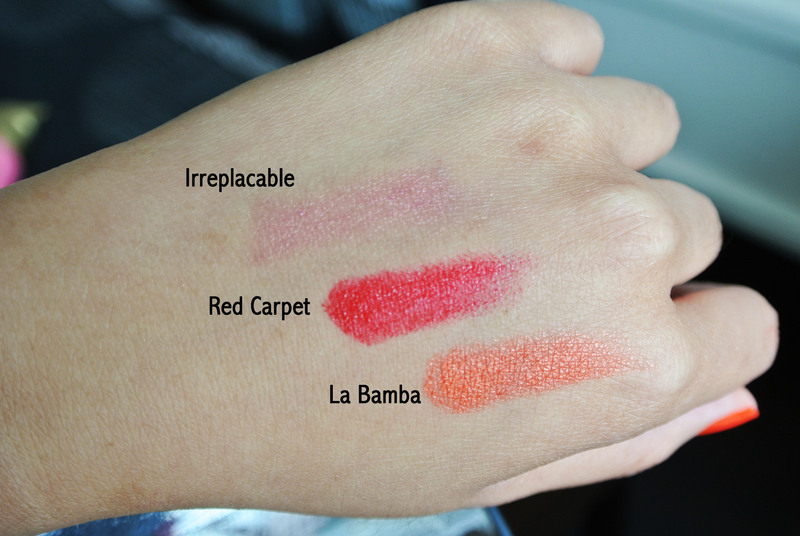 I love how it is very pigmented, long lasting and the colour is very vivid. I get stopped and get asked every single time I walk around the mall with this color of lipstick on. I also give this one 5 stars for basically the same reasons I have for BESO. 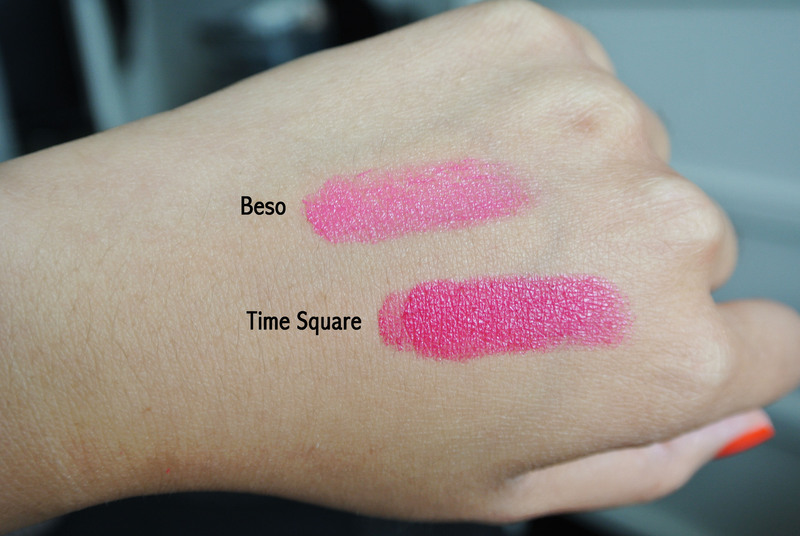 The only difference is TIME SQUARE is a little darker than BESO so I guess it depends on the occasion and how you want your make up to mix match with your clothes. Thank you so much Emma. I am so sorry for such late reply!!! Love your blog!